A relaxation in the rules that govern several Australian visa programs will give farmers better access to migrants and holiday makers for labour. The Australian government has announced that 18 new agricultural occupations will be added to the regional occupation list, opening up opportunities for employers seeking workers with overseas experience in aquaculture, cotton, horticulture, grains, sugar or livestock. Those entering Australia based on their experience in the newly listed agricultural occupations will also have pathways to permanent residency available to them. Skilled Migrant Visas will change from a 2-year term to 4-year term, increasing certainty for employers and making relocation more attractive for potential migrants. Visas will also be renewable after an initial four-year term. Skilled Migrant Visas are only available for those willing to relocate to certain regional areas in Australia, but the recent changes have resulted in an increase to the applicable areas across all states and territories of Australia, as well as Norfolk Island. Those working in Australia on a Working Holiday Marker visa will be able to apply for a second visa term, and can work with the same agricultural employer for up to 12 months (up from six). Participants can also apply for a third year visa option, providing they have completed six months of regional work in their second year. The Australian Government has also increased the number of places available for Work and Holiday Maker visa holders (subclass 462), most notably for visitors from Spain and Israel. The Seasonal Worker Program has seen an increase in the work period from six to nine months. Employers will also be reimbursed for travel costs except for the first $300 (down from $500), as workers are required to repay these out-of-pocket expenses. Initial responses from many sectors of the industry suggest that many farmers see the changes as insufficient. Victorian Farmers’ Federation vice president Emma Germano said that the industry had been overlooked in terms of matching worker shortages. “We don’t need any more announcements that are meaningless against that number one thing that we’re calling for [which] is an ag visa,” she said. One main concern was that the changes had little impact on the flow of unskilled labour which is a particular concern in industries such as horticulture. “Whilst all of those little things are helpful and you’re not supposed to bite the hand that feeds you, the reality is it just doesn’t go far enough,” she said. 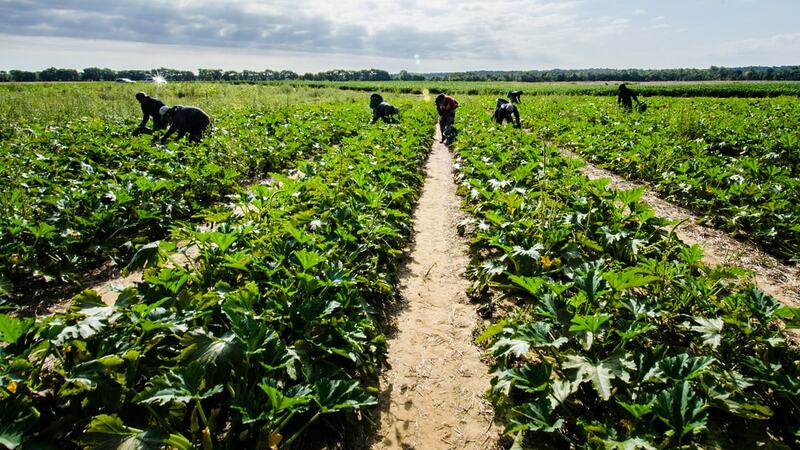 A recent report showed that more than 40% of vegetable growers had not been able to hire enough workers. Of those growers, 63% had been forced to leave produce to rot on the ground because of the shortage in labour. The report, which was funded by VegetablesWA, the West Australian Strawberries Association and private growers, recommended that better access to migrant labour was required to address industry issues. “There needs to be a better, targeted, more reliable and sustainable labour migration program,” said the report. Image by the US Department of Agriculture without copyright.